HD GLASS Ultra Clear High Transparency Optical Glass Chemically Enhanced Optical Glass is 4x Stronger HD COATING 8-layer Anti-Reflective Multi-Coating Water & Oil Repellent, Scratch & Stain Resistant HD FRAME Wide-Angle Lens Compatible Ultra Thin Frame Glass Mounted with High Pressure Press Technology Protect your valued lenses This is the ultimate in clear filters. It will not affect the color balance or performance of your lenses in the slightest. However, constant use will protect your valued lenses from expensive front element damage which could be caused by dirt, knocks or scratches. 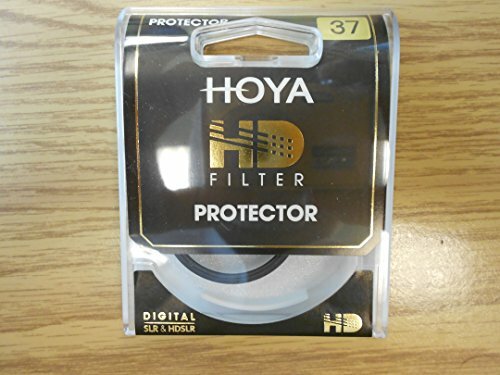 These HD filters use specially hardened glass that is far more resistant to breakage than other optical glass. Hardened Glass... Hardened optical glass that has 4 times the breaking strength in ANSI standardized testing (ANSI Z80.3 : 2001) where a steel balls of varying size and weight were dropped from a height of 50 inches onto the glass.